By adding any one of three types of exercise to your lifestyle, you can improve your health and stave off any nasty age-related declines in function. What if I said that thought process was wrong? Or at least not completely accurate? 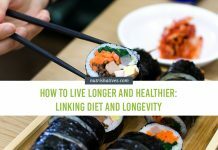 While I agree that (for the most part), aging is unavoidable, I would also argue that it shouldn’t happen nearly as quickly as it does for many of us. Hell, I would go as far as to suggest that the aging (and the associated decline in function) that many of us see daily only happens so quickly because we let our bodies deteriorate. We don’t move our body enough so it doesn’t have any need to maintain its function. We have previously written about how exercise assists in healthy aging here – and now we want to outline what exercises do this best. What Are the Best Exercises for Healthy Aging? There has been an absurd amount of research looking into how exercise impacts the aging body. 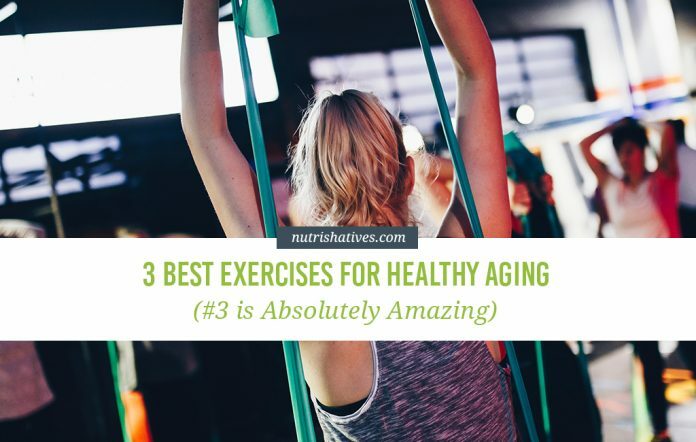 This is great news, not just because it gives us all kinds of info about exercise and aging in general, but also because it’s tipped us off to certain exercises that work better than others! Some types of exercise are much more effective than others when it comes to enhancing health, maintaining function, and delaying the negatives effects of aging. So let’s take a look at these in more detail! Note: now we should also mention that it is your best interest to seek medical advice and get a quick check up by your local GP before starting an exercise routine – just in case! It’s extremely unfortunate that so many gym-goers are worried about making that long and arduous trek from the cardio area to the weight room. I can assure you, it’s not just for meatheads (although, as a self-proclaimed meathead, I struggle to see how this is an issue…). You see, participating in strength training using barbells and dumbbells has been shown to cause improvements in both bone mineral density and muscle mass. In a more practical sense, this means that, by strength training, you are much less likely to succumb to age-related muscle and bone diseases, such as osteoporosis or sarcopenia. And healthier bones and muscles mean that you are much more likely to maintain your functional capacity, reducing your risk of falls and increasing your quality of life in a big way. Read: Changes in Aging Muscle: What is Sarcopenia? In addition to its awesome effects on your bones and muscles, strength training can also promote weight loss, improve insulin sensitivity, and lower blood sugar levels. All of these have the potential to stave off age-related declines in metabolic health. How Should You Strength Train to Promote Healthy Aging? 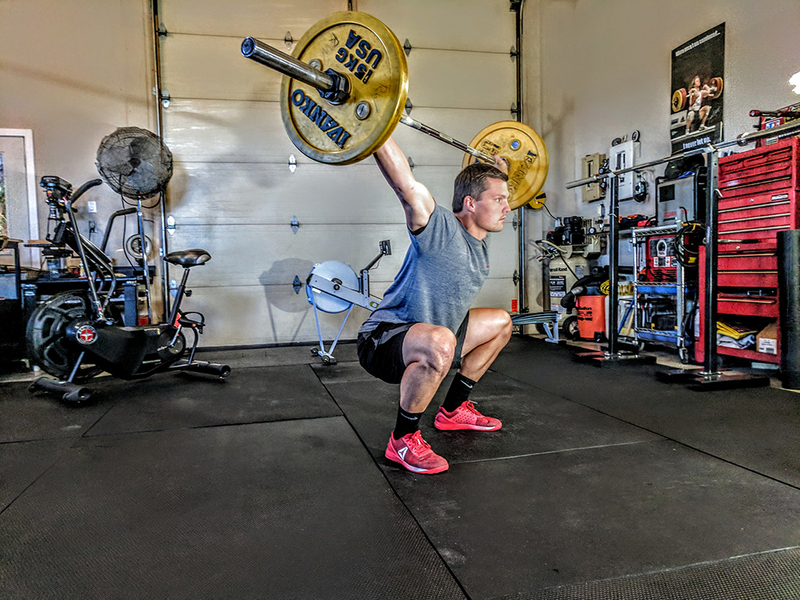 Now, with all the above information it is important to note that to fully reap the benefits of strength training, it appears you actually need to place significant load on the skeleton. This means straying away from those pink dumbbells for at least some of your workout, and starting to lift heavier weights and do large compound exercises such as squats, lunges, or deadlifts. You should perform these types of movements 2-3 times per week to provide adequate load to the muscle and bone tissue. What sort of loading schemes you should use? Well, unfortunately, there are literally thousands available – so here is one of my favourite full body gym programs that can be completed 2-3 days per week. When it comes to the actual weight that you are going to be using, it will be very dependant upon you as an individual. I like to think that for each of these exercises you would be using a heavy enough weight that you physically cannot lift it more than highest number prescribed of reps for all sets. For example: if you can Goblet Squat a 50 pound dumbbell 8 reps on your first set, then 7 for your second and third sets, and then 6 times for your fourth and final set, then that would be perfect. This way you could aim to build up to 4 sets of 8 with that 50 pound dumbbell. Once you achieve this, it’s time to increase the weight and repeat the process! While this routine is by no means the only way to get some heavy lifting in, it does provide a good example of how you can use big compound movements with heavier loads easily and effectively to get the most bang for your buck! So, seriously, when it comes maintaining optimal function well into your twilight years, look no further than the weight room. Running is one of those few forms of exercise that people genuinely fall in love with. Runners not only love running, they also love to talk about running. I’d bet you my post workout protein shake that they even dream about running! Now, regardless of how someone manages to fall in love with the repetitive madness (I kid, I kid… that’s what podcasts are for) of running, the people who do are well on their way to living a long and healthy life. 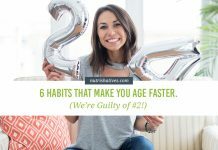 Research has shown that those people who run often (and run well into their golden years) are much less likely to see the deterioration in function that we normally see with age. Improved function means you are a lower risk of falling and are more likely to stay independant, longer – both of which are, obviously, very good things. So, it just might be time to jump on the running bandwagon! How Long and Often Should You Run? In regards to how much and how often you should run, it is going to be highly dependant upon both your time availability and your current fitness level. 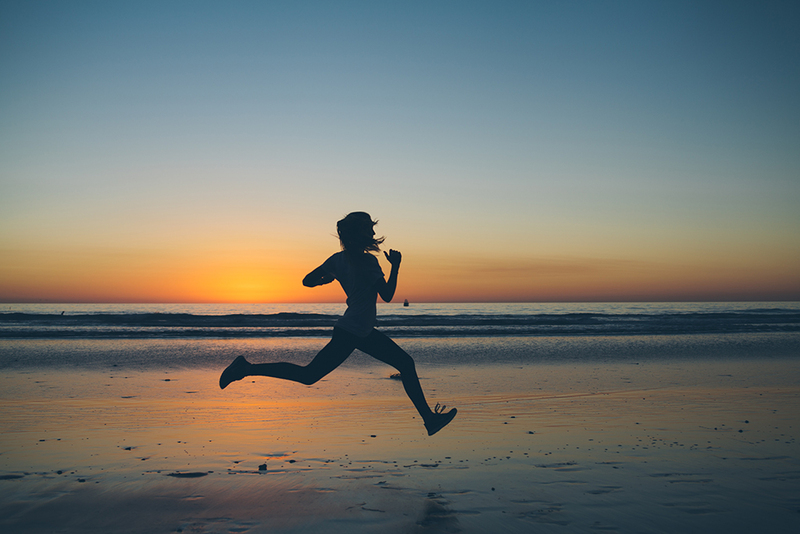 Despite this, it appears that getting in about 150 minutes of jogging each week will be enough to elicit the positive health benefits mentioned above – but how you manage this is entirely up to you! You might find that you like starting your day with a 30 minute jog, so you choose to go for a 30 minute run every morning, Monday through Friday. You might find that you like going for longer jogs on the weekend, so you chose to go for an hour on both Saturday and Sunday, and then opt for a smaller run during the week. Or you might find that your not a huge fan of running (which is fine), and you move onto the next section (which might be more your thing). Now for those of you who don’t like the idea of spending hours each week jogging endlessly around your local track (or are alternatively a little bit time poor), high-intensity interval training (HIIT) might be your answer. 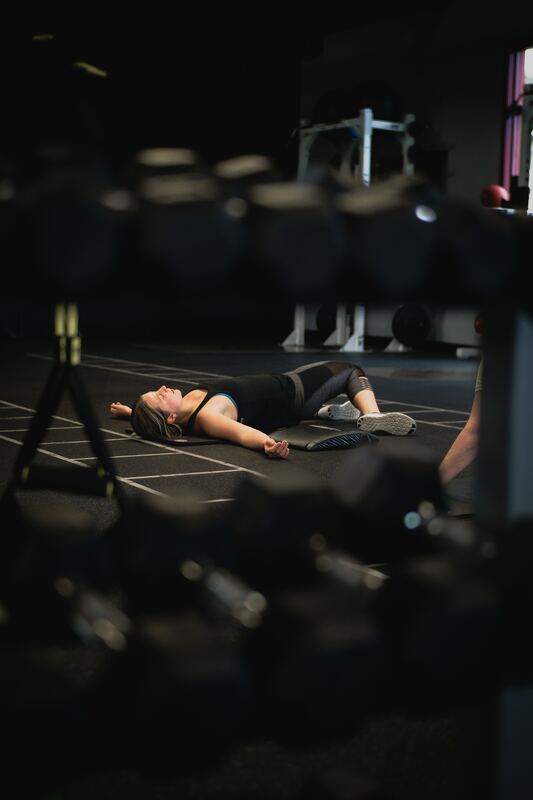 HIIT describes a type of physical exercise that involves brief and intermittent bursts of vigorous activity, broken up with bouts of low-intensity activity that are used to recover. While the intensity (and, therefore, the difficulty) of this kind of workout is obviously much higher, the session duration tends to be much shorter. This makes it a highly time efficient option. Another positive associated with HIIT is that it can be applied to any type of exercise: swimming, running, cycling, or even rowing. It is an extremely versatile way to work out! Why does HIIT make our top 3 best exercise for healthy aging list? Now you might be wondering how to best add HIIT into your schedule, and what the best way to do it is? And with this in mind, a couple of high-intensity interval protocols that I frequently recommend look something like this. Run at 75% of your top speed for 30 seconds, then perform a light jog for 60 seconds. Repeat for 20 minutes total. Swim one lap of the pool (25 meters) as fast as you possibly can, and then swim two laps (50 meters) at a nice slow speed. Complete for 10 rounds. On a stationary bike cycle for as fast as you can for 15 seconds, and then cycle slowly for 45 seconds. Complete for 15 total minutes. Row for 30 seconds as fast as you can, and then rest completely for 30 seconds. Repeat for 10 minutes, rest for 4 minutes, then repeat for another 6 minutes. Now when it comes to HIIT, I should note that as it is performed at a greater intensity than moderate-intensity activity such as jogging, it also takes a little bit longer to recover from. As a result, I wouldn’t recommend performing it any more than 3 times per week. I would also try to ensure that you have at least 48 hours between sessions to allow for full recovery! With high-intensity interval training, we are talking about short-term pain, but long-term gain! When it comes to finding the fountain of youth, you don’t have to look far at all! By adding any one of three types of exercise — strength training, running or HIIT — to your lifestyle, you can cause amazing improvements in your health and stave off any nasty age-related declines in function. While each of the exercises listed in this article is excellent as stand-alone option, it’s important to note that I firmly believe that you will see the best results when you include some form of strength training and some form of aerobic training into your daily life. This may mean strength training on Monday and Thursday, High-Intensity Interval training on Wednesday, and a going for a nice slow run on Saturday. Previous articleOptimism Can Keep You Young. Here’s How Aging and Personality are Linked.